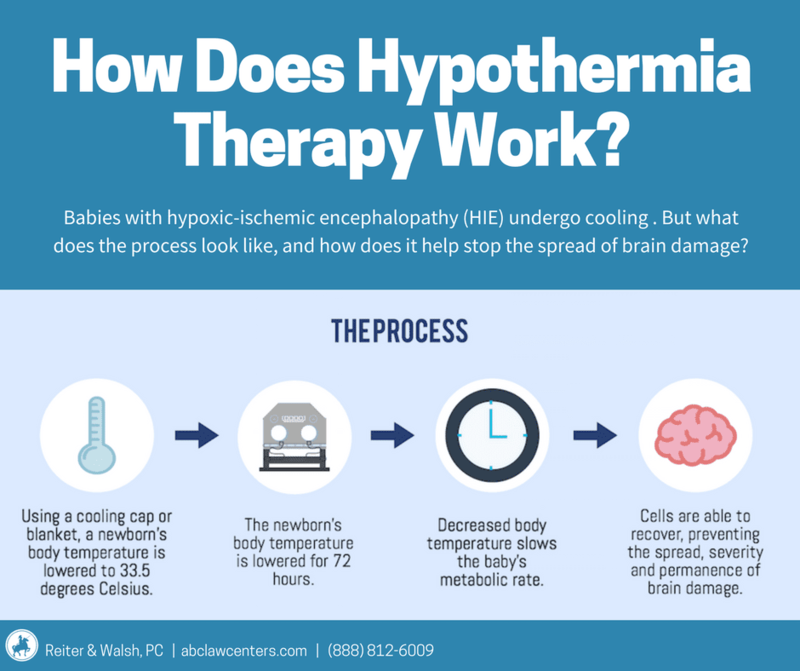 Therapeutic hypothermia (brain/body cooling) is a relatively new treatment option for newborns with hypoxic-ischemic encephalopathy (HIE). It involves cooling the baby to about 91 degrees Fahrenheit (33 degrees Celsius) for around 72 hours. This is achieved either by attaching a cooling cap to the baby’s head or using a cooling blanket. The purpose of therapeutic hypothermia is to slow the baby’s metabolic rate, giving injured brain cells time to recover and minimizing the spread of damage to other parts of the brain. Research has shown that babies given therapeutic hypothermia have better survival rates and are less likely to develop permanent disabilities such as cerebral palsy (1). For more information on eligibility criteria for therapeutic hypothermia, please click here. Most medium- and large-sized medical facilities today have neonatal intensive care units (NICUs) and therapeutic hypothermia readily available. Community hospitals usually do not have NICUs or the necessary neonatologists on staff. Instead of providing therapeutic hypothermia, they will immediately transfer newborns to larger hospitals or medical facilities that can administer this treatment. Sometimes errors in judgment or practice by medical professionals can occur in HIE and therapeutic hypothermia cases. In fact, if your baby required therapeutic hypothermia as a result of HIE/birth asphyxia and is permanently disabled, there is a good possibility that negligence occurred and may be responsible for your child’s injuries. Failure to inform the parents of hypothermia therapy as a treatment option. Failure to begin hypothermia within six hours of birth. Failure to transfer infant to an appropriate facility with hypothermia capabilities. Failure to have in place and follow organizational policies and protocols for hypothermia therapy. Children with hypoxic-ischemic encephalopathy (HIE) may require costly treatments, equipment, and round-the-clock care. It can be difficult for parents to afford these necessary expenses. An HIE/birth injury attorney can help obtain settlement money to cover these costs and maximize your child’s future. Pursuing a case also keeps doctors and medical organizations accountable for their mistakes. Feel free to reach out to the HIE attorneys at ABC Law Centers for a free case evaluation. We will never charge any fees until you win your case. We pride ourselves on our transparency and individualized attention for all of our clients. If you are interested in learning more about the legal process before contacting us, please click here. Watch a video of Jesse Reiter and Rebecca Walsh discussing how a lack of oxygen at birth can cause a brain injury.